Configuring a SIP profile and trunk within your Cisco Unified Communications Manager (CUCM or CallManager) is recommended for H.323 or SIP devices connecting to Zoom meetings through the CUCM. This configuration allows for dual stream of content and optimizes meeting quality. In your Cisco Unified Communications Manager Administration, navigate to System > Security > SIP Trunk Security Profile. Configure the SIP Trunk Security Profile. 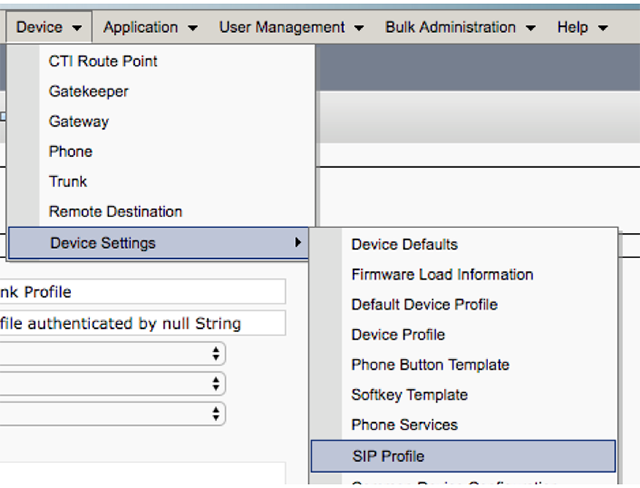 In your Cisco Unified Communications Manager Administration, navigate to Device > Device Settings > SIP Profile. 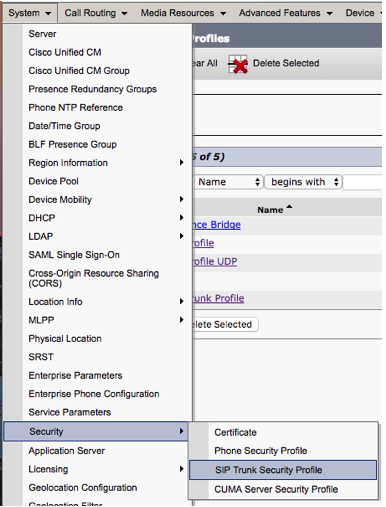 Click Standard SIP Profile for Cisco VCS. Change the name to Zoom SIP Profile. For Early Offer support for voice and video calls, select Best Effort. 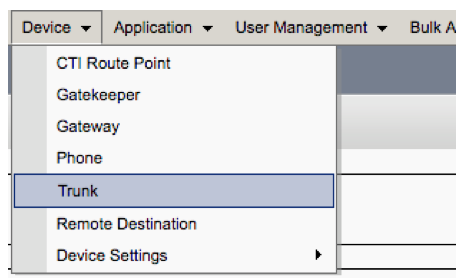 In your Cisco Unified Communications Manager Administration, navigate to Device > Trunk. Enter the Device Information and Device Pool based on your needs and configuration. 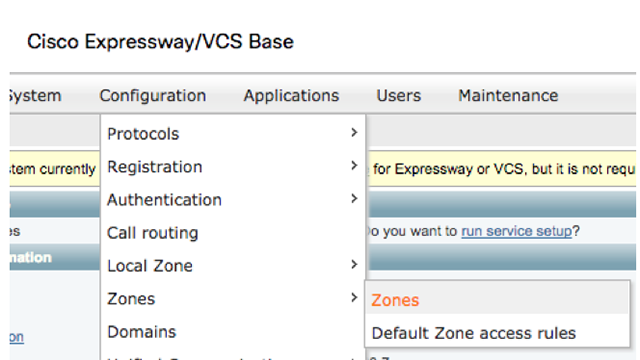 For SIP Information, add the VCS Control or VCS Expressway C IP address and port. 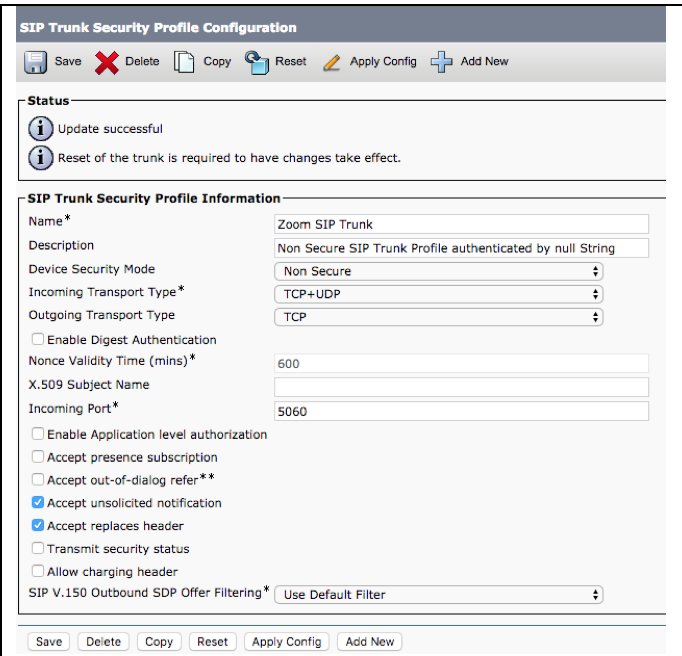 For SIP Trunk Security Profile, enter the name that you entered in step 3 of the SIP Trunk Security Profile Setup above, Zoom SIP Trunk. 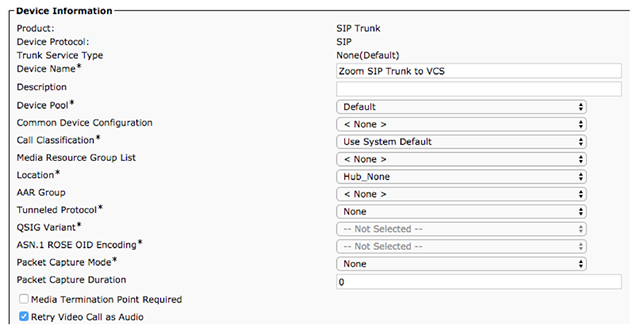 For SIP Profile, enter the name that you entered in step 4 of Configuring SIP Profile, Zoom SIP Profile. Save and reset the trunk. In your Cisco Unified Communications Manager Administration, navigate to Configuration > Zones > Zones. Confirm that ICE support is set to On. Change Zone profile to Custom. Confirm that Call signaling routed mode is set to Always.